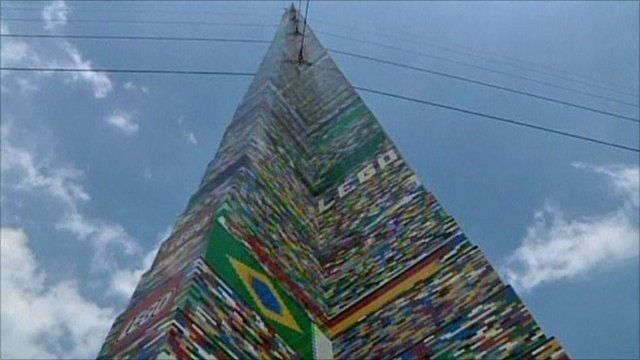 'World's tallest' Lego tower in Brazil Jump to media player Thousands of children in Brazil have built what organisers say is the world's tallest Lego tower - with a bit of help from parents and a crane. Thousands of children in Brazil have built what organisers say is the world's tallest Lego tower - with a bit of help from parents and a crane. Organisers say the tower, which was made with 500,000 pieces and measured over 102ft, beat a previous record held in Chile.